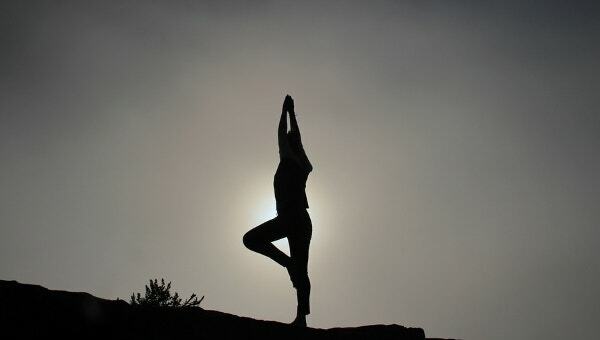 Yoga is the best exercise for adults as well as for people of all ages. 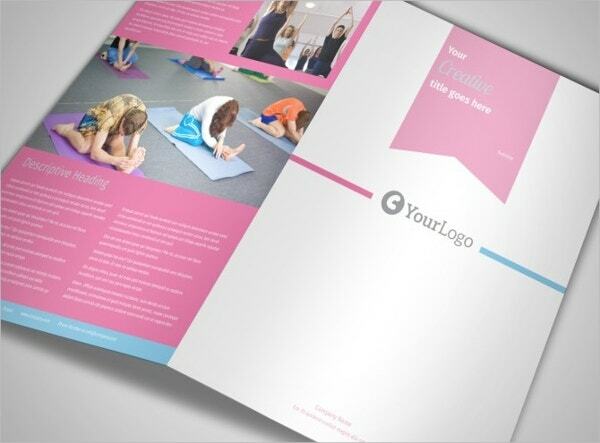 Designing an attractive yoga brochure can be of great use for yoga classes. It will give you the advantage of a specialized design at a minimal cost. 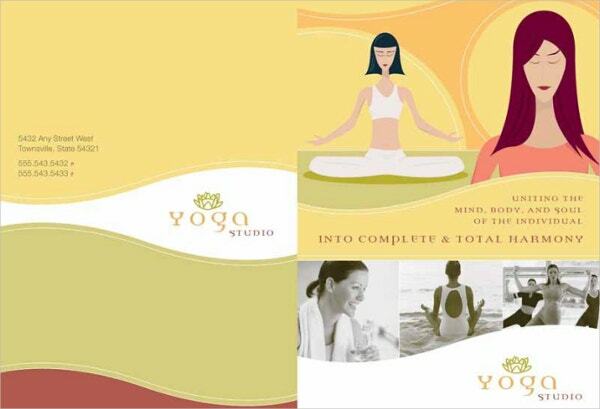 There are numerous designs and styles in our latest collection of yoga brochures and you can consider using them. The fonts, colors, themes, pictures, layouts, descriptions, etc can be modified to meet your requirement. You can also see Home Care Brochures.You may also see Brochure Templates. 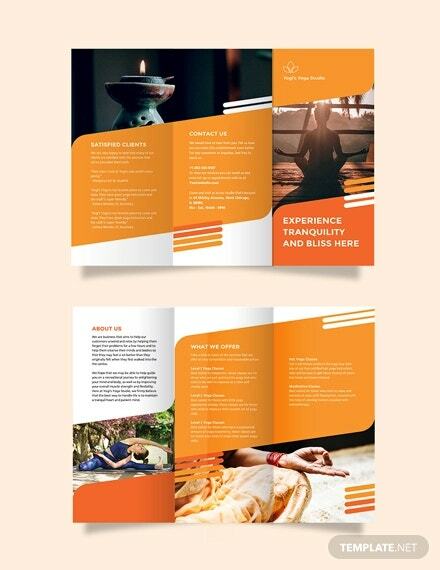 This is a simple to read Tri-Fold Yoga Brochure that uses attractive display elements like descriptions, pictures, colors, etc. It comes with CMYK color mode, 300 dpi resolution and easy to edit color and text options. You can also see Gym Brochures. 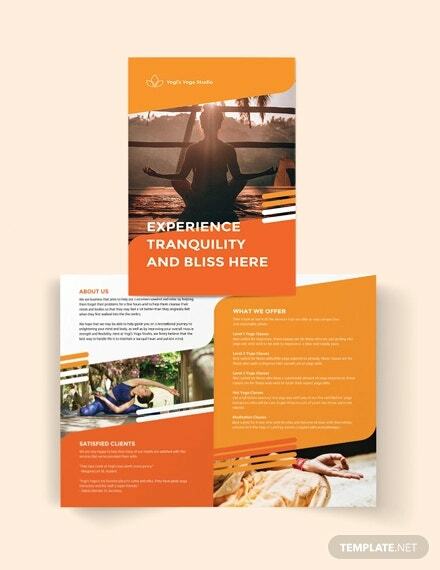 This good-looking and professionally designed brochure template can be used as the best marketing tool for endorsing your yoga classes or yoga programs. It comes with CMYK color mode with ready to print option. You can also see Sports and Fitness Brochures. 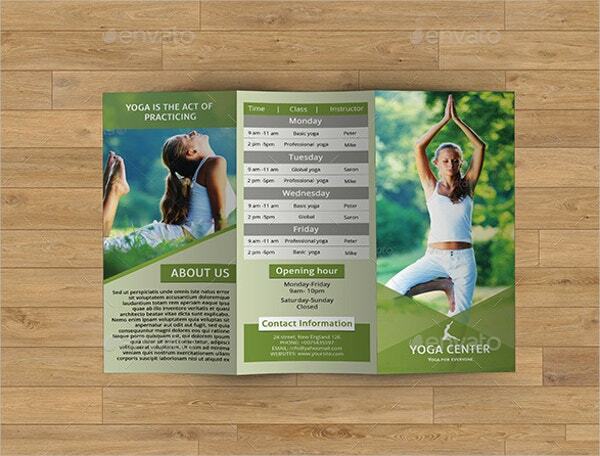 This beautifully designed Yoga Studio Brochure can be easily customized with amazing features. It also has multiple headers and footer layouts with 300 dpi high-resolution features. You can also see Travel Brochures. 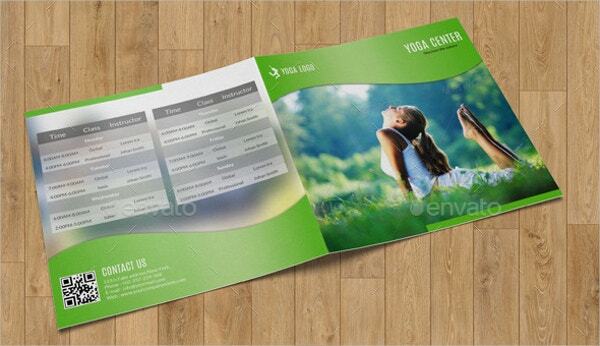 With well-organized layers, a print resolution of 300 dpi and in CMYK color mode, Yoga Class Brochure Template is a stunningly designed brochure that comes with the print ready option. It has amazing shades and layouts. 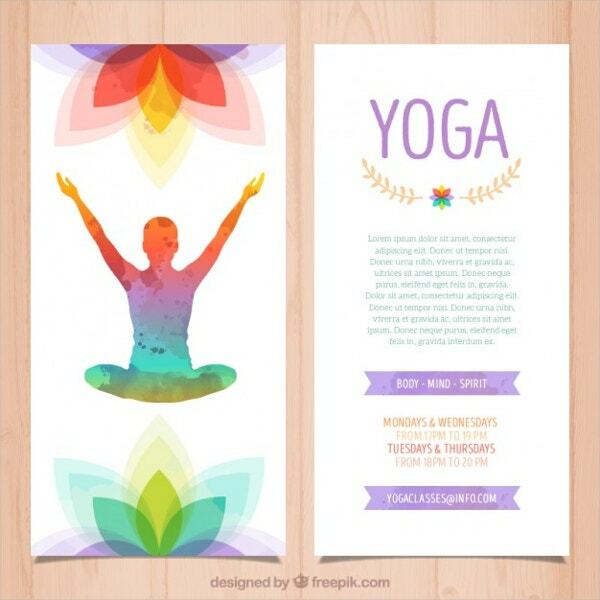 This stunningly designed 8.5″ x 11″ size flyer is the best for all of your yoga advertising needs. It gives you an option to upload your company photo, descriptions, logo, etc. 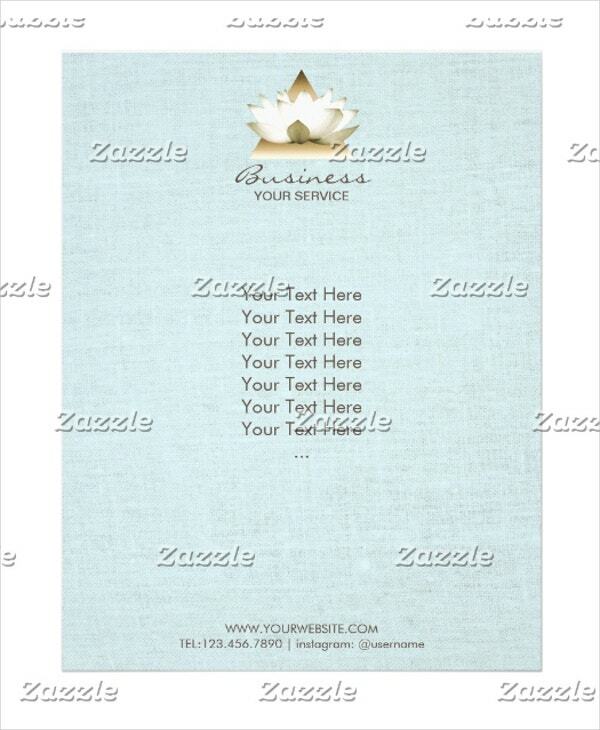 You can modify your choice of exclusive layouts for any occasion. 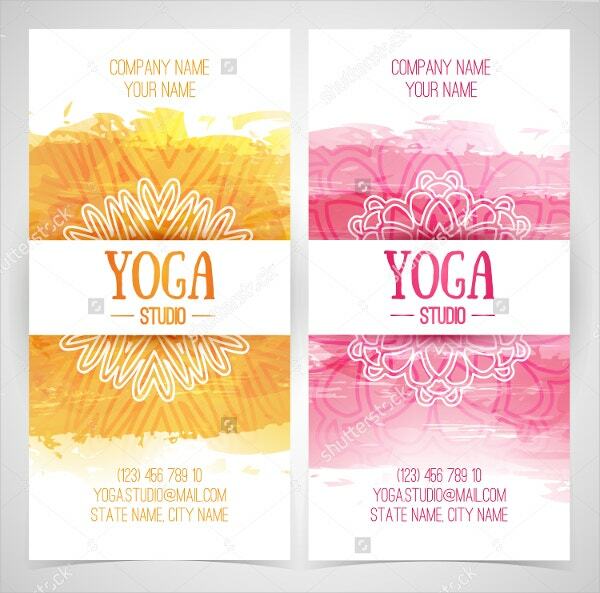 This eye-catching Watercolor Yoga Brochure Design Template can be used for presenting your new product or program related to yoga. This ready to print brochure comes with a high-quality resolution and CMYK color options. 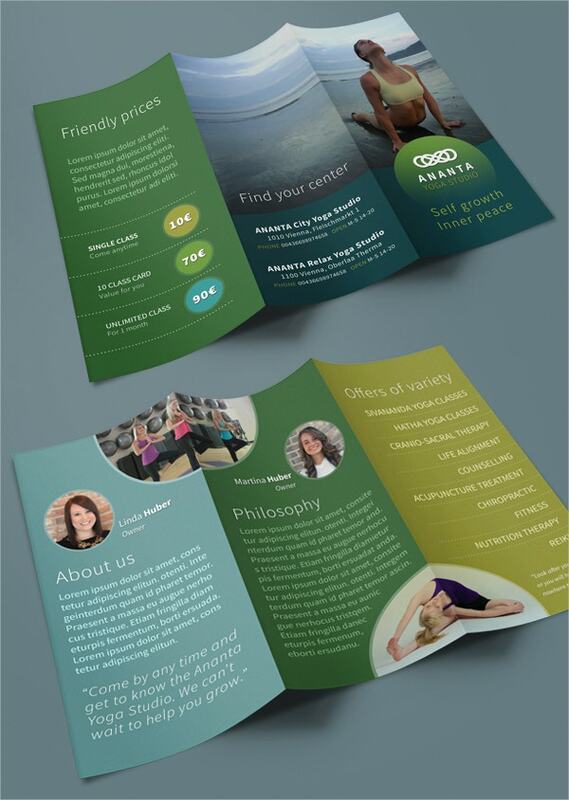 This unique and cleanly designed half fold brochure is perfect for your yoga fitness classes or programs. It features Indesign formats, Photoshop psd, CMYK, 300 dpi resolution, ready drop marks and bleeds. The attractive blue color brochure template has space to include all the relevant descriptions, images, and information essential to give your profession the enhancement it deserves. It comes with the print-ready option and high resolution. 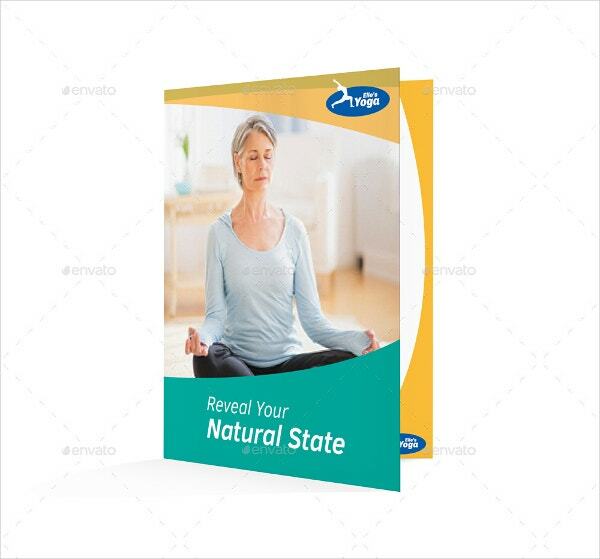 This is the most elegant and well-designed Ecology Yoga Brochure Template that comes in high resolution and various sizes and colors to suit all your projects. It has a ready to print feature that makes this brochure more famous amongst designers. 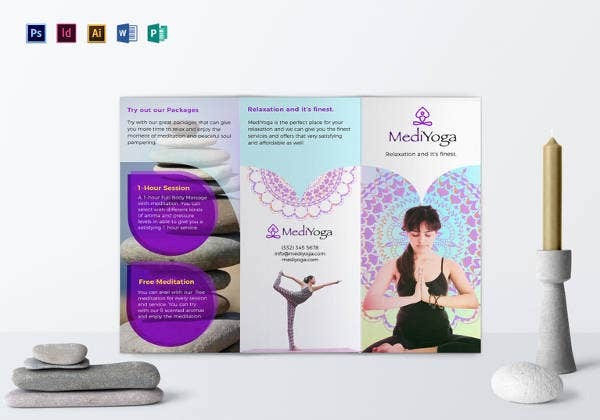 This attractively designed yoga training brochure template which uses CMYK color mode, character styles, and 300 dpi resolution to make it look sophisticated. It is designed for all business promotional activities. It comes with amazing designs and colors. 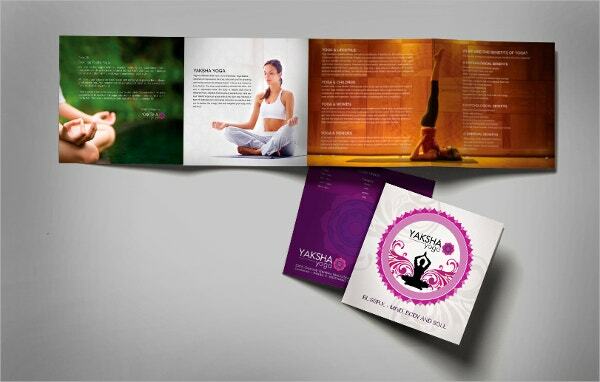 Yaksha yoga brochure Design Template supports InDesign PSD file supporting all common formats. It comes with the CMYK color mode, high-quality graphics, and free fonts. Hastily change the style and texture of your project with this exclusive attractive theme maker. 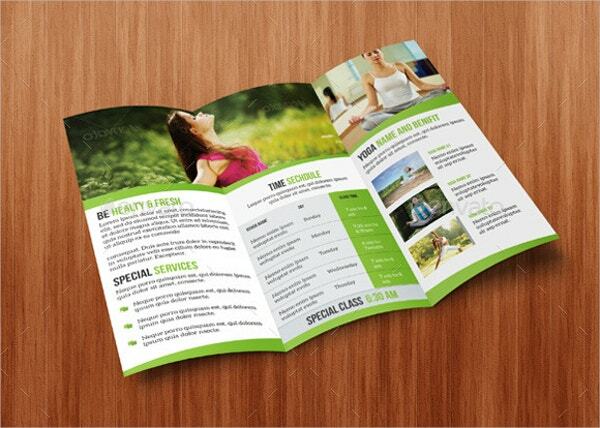 With a variety of designs and colors, this brochure can be perfect for your business needs. It can be easily customized and has patterns for international page sizes as well. 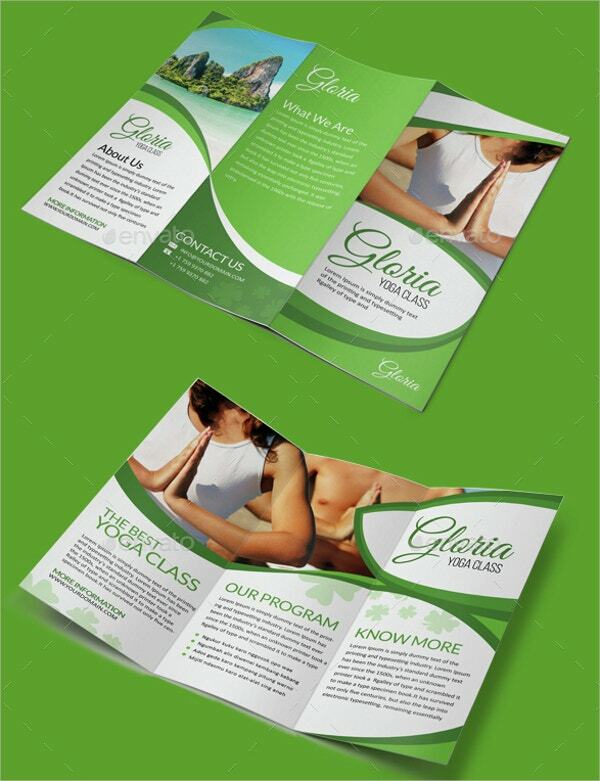 Yoga Instructor & Studio Brochure Template is suitable for companies to promote their business in a small or larger scale. It uses CMYK color mode and comes in A4 size. This spectacular and striking handmade brochure is a vector illustrated template. 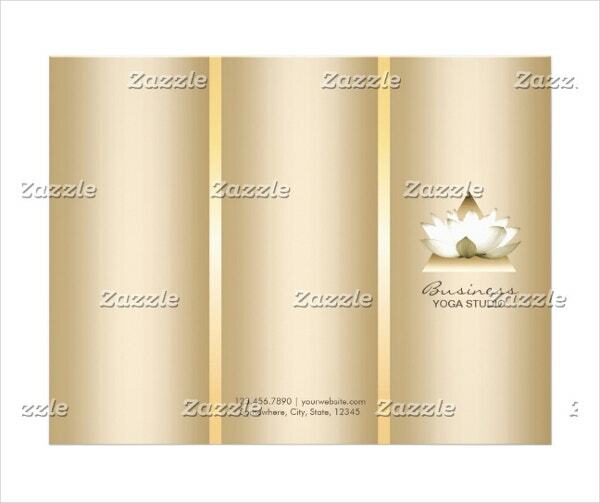 It is perfect for promoting any type of yoga businesses or classes. 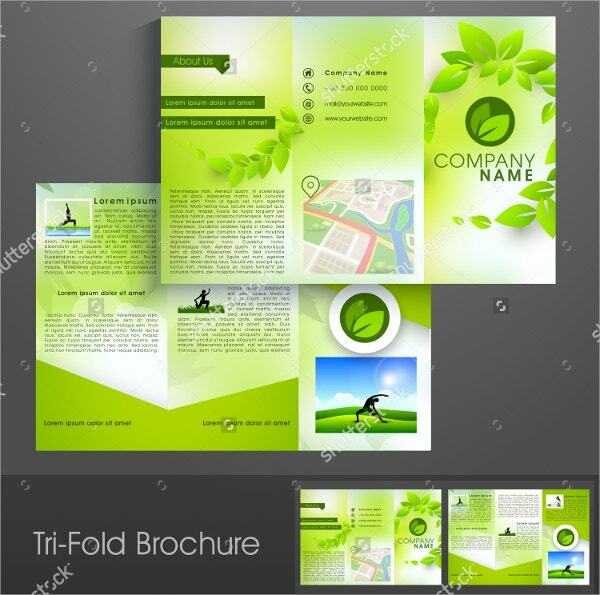 Its well-planned layout, vibrant colors, and uniqueness make this brochure an outstanding one. 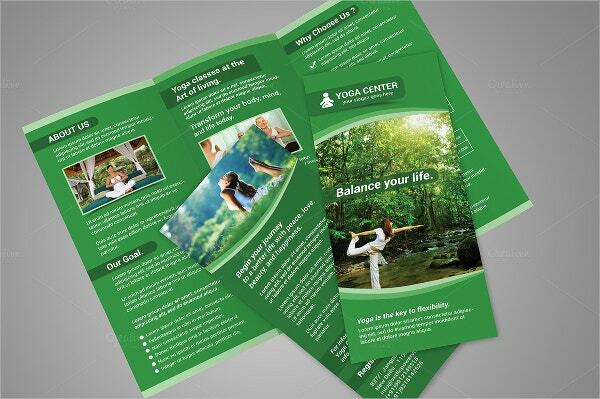 This attractive Square Bifold Yoga Brochure can be used for yoga centers or classes. It comes with CMYK Color mode, 300 DPI resolution, customized options and uses Google fonts. You can also see Chocolate Brochures. 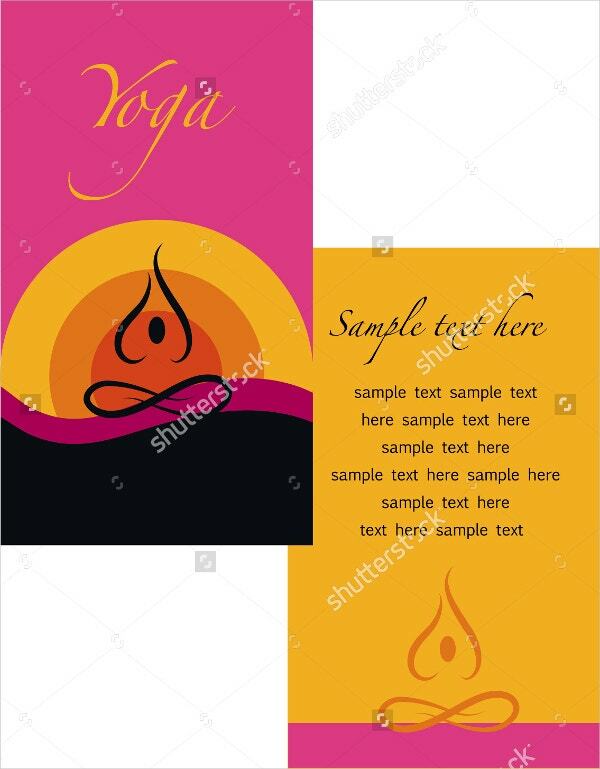 Yoga brochures can be used by anyone who wants to make a call for inviting the target audience to attend a specific yoga class or program. All of the above designs are stylish, up-to-date and clean so that they can be helpful for your business. 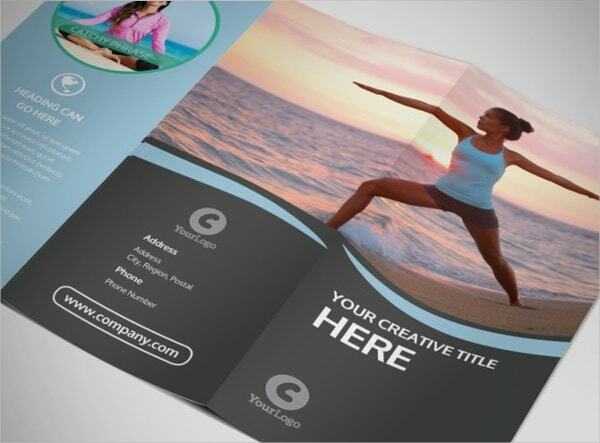 You can select your favorite brochure and boost your business. These templates are 100% responsive and can be customized as per your needs.